When you are operating a trucking service, there are a lot of things going on your mind. However, there is one thing that you have to give a lot of thought and that is insurance. This will not only protect you financially against unexpected events but it can also prevent a lot of headaches in the future. Rapid Document Insurance Agency is a Truck Insurance Agency in Downey CA that provides Local Trucking Insurance and Truck Physical Damage Insurance. Through these services, we aim to help keep you protected against unforeseen situations. Accidents: You never know when one of your truckers will get into an accident. Whether it is their fault or the fault of someone else, it is important to make sure you have insurance. 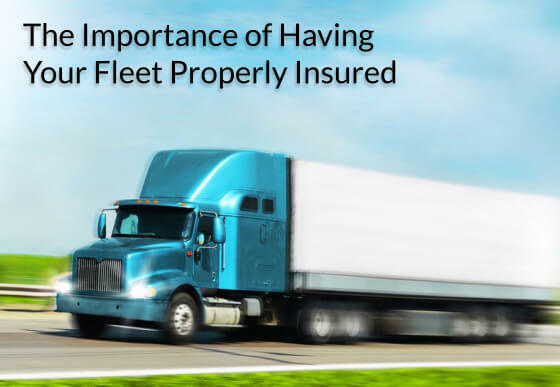 Your insurance will help cover any damage, especially if the accident is your truckers’ fault. Without insurance this can be a very expensive situation. Damages: Even when your trucks are parked, damages can occur. Vehicles can accidentally crash into them, people could vandalize the trucks, or theft can occur. In order to protect yourself and your business from these unfortunate circumstances, it is important to have a personalized trucking insurance. Through this type of coverage, you can rest easy knowing that it will help pay for any damages or loss of property. Cross Country: Anything can happen when your truckers are going across the state or even across the country. To make sure that you have nothing to worry about even if something does happen, then it is vital to have the proper insurance. Even if you think you don’t need it, insurance is something that is always better to have than to be sorry later. We offer customized insurance options that are not only affordable but can also meet all of your needs. Just visit our website at www.rapiddocuments.com to learn more about the services we can offer and how we can help keep you protected against unexpected situations and circumstances. This entry was posted in Insurance and tagged Insurance Agency, Insurance Services, Local Truck Insurance. Bookmark the permalink.